DJ EXPO 2014: Starting in 1985, as a supplier of lighting products to mobile entertainers, the Los Angeles based ADJ Group has grown in to a diversified global enterprise that includes five successful companies (American DJ (ADJ), Elation Professional, Acclaim Lighting, American Audio and Duratruss) which collectively provide lighting and audio products for home, architectural, stage, touring and mobile entertainment applications, as well as trussing for displays, events and stage productions. The company has also followed a philosophy of innovation, and has been responsible for many breakthroughs in the professional lighting industry. Designed with the end-user in mind, its products have been profitable sellers at a wide variety of retail outlets from independent specialty stores through the qualified ADJ partner network to major retailers like CPC, Conrad, Best Buy and Amazon. Its products have also been specified for many major concert tours, including John Mayer, Bon Jovi and Brad Paisley as well as at high profile architectural application, such as the Luxor and Venetian hotels in Las Vegas, Royal Caribbean International's Oasis of the Sea (the world's largest cruise ship) and at major attractions like Disneyland and Universal Studios theme park. 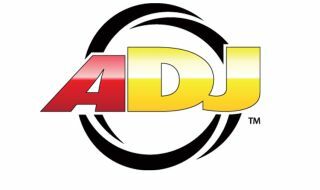 With a proven track record of filling orders on time and standing behind everything it sells,the ADJ Group can help put any venue in lights! ADJ continues to push the boundaries of LED technology with the Inno Spot LED, a compact intelligent Moving Head with a bright 80W LED source. The ADJ Sweeper Beam Quad LED creates exciting lighting effects with it's quick sweeping beams and it's 8-Zone RGBW LED chasing, pulsing and strobing LEDs. For more information head to the official ADJ site, or connect with them via Facebook, Twitter and YouTube.